Honest and affordable local roofing services for Acworth, GA and surrounding areas. Replacing, repairing, or constructing your home’s roof can be a costly endeavor. When it comes to protecting your family and real estate investment, Mancilla Roofing & Construction understands the importance of quality workmanship. We complete our jobs in a timely manner with competitive pricing. 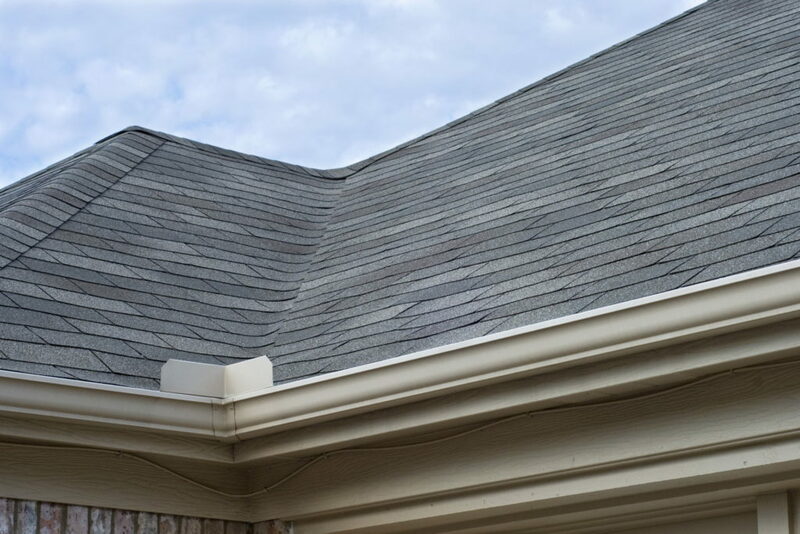 Our roofing professionals tackle everything from minor roof repairs, maintenance or new installations, to complete tear-off and roof replacements. Our knowledgeable and skilled staff can help determine which materials and systems will work best for your property. As an added service to our roof replacement customers, we also provide complete fascia and soffit replacement (woodwork) services, gutter replacements, as well as attic ventilation system installations. Whether it’s damage from inclement weather or the wear-and-tear that comes with age, our skilled roofers are experts at spotting and repairing roof damage, no matter how small. We install state of the art shingle roofing systems, time-resistant metal roofs, and flat commercial roofing. Our roof replacement experts deliver exceptional service, on time and on budget. We repair and install stunning metal roofing systems in both corrugated and standing seam formats. These roofs, while more expensive up front, are extremely cost-effective in the long run. TPO and other types of flat commercial roofing installed by a team of professionals with over ten years of commercial roofing experience. Hire us and work with the best. When it comes to protecting and improving the exterior of your home or business, our team of roofing and construction experts has your back. Let us know how we can help! Whether you’re looking to repair, replace, add on to, or even build your dream home from the ground up, our team of is ready to work with you to protect your home or business from rain and other elements. Pitched or flat, residential or commercial, Mancilla roofing systems stand the test of time so you can rest easy knowing you’re home or commercial property is covered, in every sense of the word. We’re looking forward to speaking to you about your roof or other exterior home renovation needs. Just dial 678-264-3189 to get the conversation started. When you call, be sure to ask about our FREE upgrade to Lifetime shingles! Very prompt and accommodating service request response. Service was performed exactly as quoted /expected. I would definitely recommend this company to my friends and family. These guys are great. They did repairs on our roof and got it right the first time. We will continue to use them when needed. Gustavo came out quickly and diagnosed the problems. 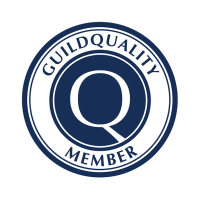 Each job was done with a very high standard of quality. I received quotes from several roofers that performed work in my neighborhood. Not only did they have the best price, the workmanship and professionalism was above and beyond the others. Installed 30ft of ridge venting plus replaced 6 pipe boots. Arrived on time, performed quality work, cleaned up afterwards. Competitive pricing, too. I'll hire again next time I have roofing needs. They did a fantastic job. From the initial contact, they were quick to respond and came out to provide an estimate on time. The process from there was simple, we selected our new shingle color and they took care of the rest. I'd highly recommend them. Did a great job. 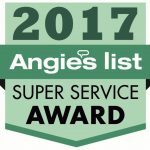 Pricing was very fair and reasonable... My new roof looks great and the crew did an impressive job cleaning everything up. Highly recommend their services. Mancilla Roofing & Construction is a family owned and operated roofing company that’s been serving Acworth, GA and North Metro Atlanta with all their exterior home repair needs since 2007. While most of our customers are residential homeowners, we happily serve various commercial businesses and community centers in the Acworth, GA area. We want you to be completely happy with the outcome of your project. That’s why we take the installation or repair of your roof, siding, or ventilation systems seriously by investing in the right materials and skilled professionals. Mancilla Roofing & Construction is committed to only using top-quality materials, installed by skilled and experienced professionals. In this way, we’re able to outperform every other company in the area and provide the absolute best service around. We proudly carry Owens Corning and GAF Timberline HD Roofing systems, backed by a lifetime warranty. And our long-standing partnership with North Georgia Metals out of Ellijay, GA allows us to bring locally superior metal roofing systems to our Acworth, GA and North Metro Atlanta Customers. Call us today at (678) 264-3189 for more information on any of our services or to schedule your FREE consultation and estimate. After over a decade in the roofing industry, our owner, Gustavo Mancilla, wanted to provide his community with services they could count on, at a price that was fair and honest. And as the saying goes, if you need a job done right, might as well do it yourself. Building on the foundations of quality and trust, Gustavo and his wife/business partner, Misty Mancilla, opened Mancilla Roofing & Construction in 2007. In an effort to bring about honest change to our local home improvement industry, both owners are intimately involved with every aspects of each project on our roster. Most days you can find Gustavo at a local Acworth, GA roofing jobsite working alongside his experienced and talented team, while Misty is the first point of contact, working one-on-one with our roof repair and roof replacement customers to figure out their specific needs and get them set up with the appropriate roof replacement service for their Georgia home or business. From beginning to end, Misty and Gustavo are committed to seeing each job through with friendly service and superior quality work. All of us here at Mancilla Roofing & Construction are passionate about helping local Acworth, GA homeowners with all of their roofing and exterior home repair needs with a strong focus on customer care and quality workmanship. At the end of the day, our roofing business is rooted in the belief that good work and good people have one thing in common: trust. Call us today so we can earn yours with a roofing experience that is sure to impress! 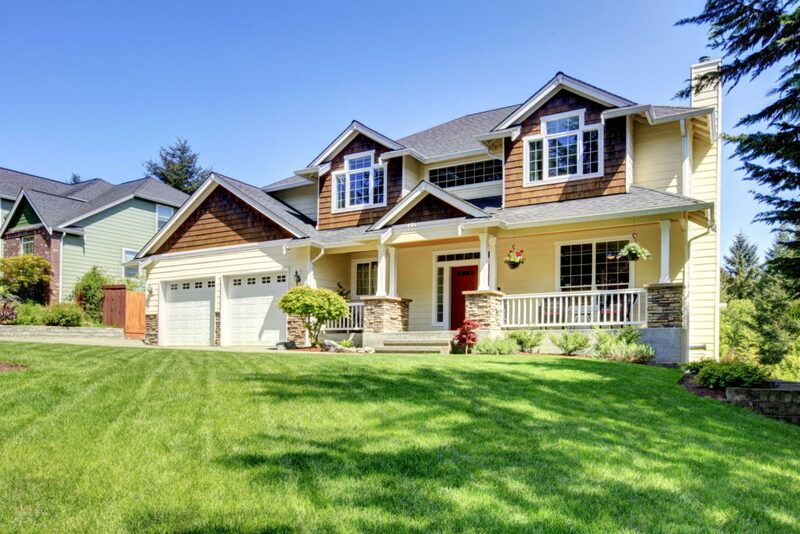 Since 2007, Mancilla Roofing & Construction has been providing their community with exceptional exterior home services. Look below to see if you live within our service area. Mancilla Roofing & Construction is proud to be the best roof repair & replacement company in the Acworth, GA area. We’ve been serving Acworth, GA homeowners since 2007 (over twelve years), and are humbled by the incredible loyalty and trust they’ve placed in us. 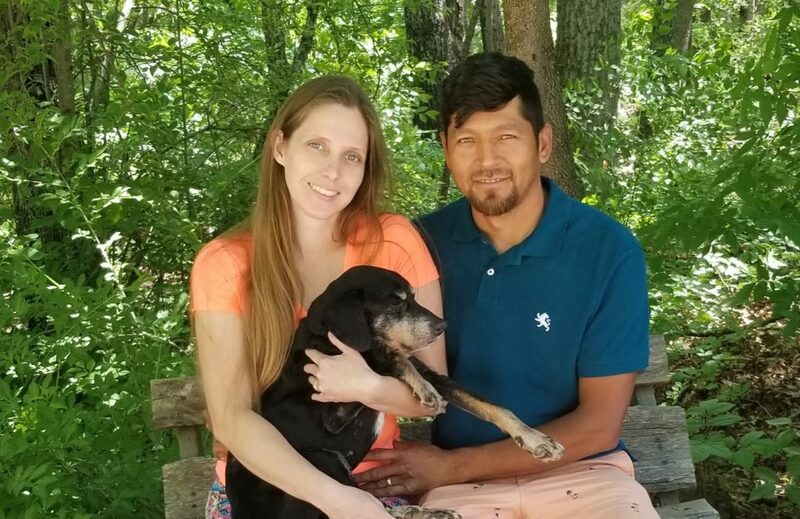 Our company’s owners, Misty and Gustavo Mancilla, call Acworth, GA their home and love being able to provide their friends and neighbors with a service they can rely on. 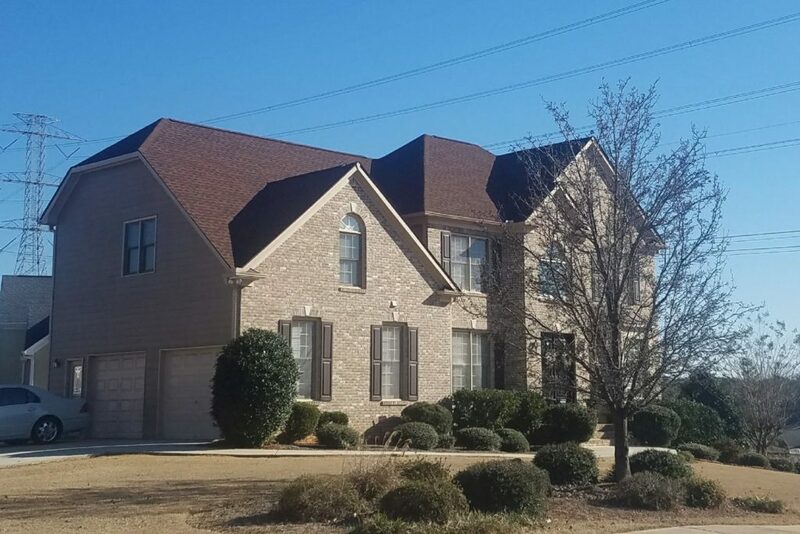 Mancilla Roofing & Construction is the Acworth, GA roofing company that works with integrity and respect, delivering incredible results every time. As an Acworth, GA homeowner, you’ve invested money and immeasurable amounts of time into your home. Now, it’s time to protect that investment by making sure that your home is protected by a high-quality roofing system installed by dependable and respectable experts. Mancilla Roofing & Construction is the Acworth, GA roofing company that can deliver that level of service. Is your Acworth, GA’s roof leaking? Depending on the age and condition of your Acworth, GA home’s roof, it might just need a roof repair. However, its impossible to know for sure whether you need a repair or replacement without a thorough inspection by a professional. We are always eager to help our Acworth, GA customers with a free inspection and estimate. Give us a call and we can help you determine exactly what you need to protect your home from the elements. If all your home’s roof needs is a repair, we are more than happy to provide this service. In some cases however, a repair won’t fix the problem, and a roof replacement is required. A full replacement might sound like a headache, but we’re actually able to complete almost all replacements within a single day. We also work with customers to find a pricing and payment plan that works for them, so they can get their home protected without breaking the bank. We give fair, honest, and affordable estimates and help our customers with any insurance claim processes we legally can. Our goal is always to protect our customer’s Acworth, GA home with a new and improved roof at a cost that is manageable to them. What Makes Mancilla Roofing & Construction Different? The Mancilla Roofing & Construction team takes pride in the work they do and makes every possible effort to make sure our Acworth, GA customers’ homes are protected for years to come. That’s why we work with GAF and Owens Corning materials, which are renowned for their quality, longevity, and beauty. Our customers rest easy knowing that they are not only working with the best roofing company in Acworth, GA, but are also getting the highest possible quality materials installed on their home’s roof. Mancilla Roofing & Construction has been providing roofing services in Acworth, GA since 2007. We are owned and operated by Gustavo and Misty Mancilla, a husband and wife team working passionately to develop long-lasting relationships with Acworth, GA homeowners, based on service, integrity, and respect. Gustavo Mancilla is an Acworth resident for over twenty years, who has worked in the roofing industry for over 20 years. He started working as a subcontractor for other Georgia roofing companies, protecting homes and businesses all over the southeast, before starting his own company. He learned the trade backwards and forwards, but felt like there was still room for improvement. 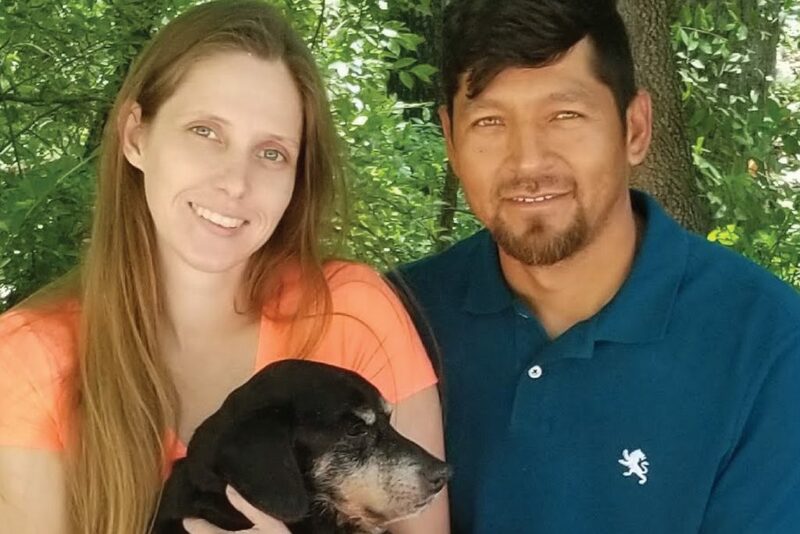 Gustavo and his wife Misty (an Acworth native) started Mancilla Roofing & Construction so they could provide a new and incredible roofing experience for homeowners that went beyond what other companies could offer. Over the past twelve years, Gustavo and Misty have achieved this dream, working with hundreds of Acworth, GA homeowners to protect their homes, while developing long lasting relationships of trust and respect along the way. Acworth, GA is not only a beautiful suburb of the North Metro Atlanta area, but is also a city steeped in rich history going all the way back to before the Civil War. The town initially began to take shape in the 1840s when a water station for locomotives coming to and from Atlanta was established there. 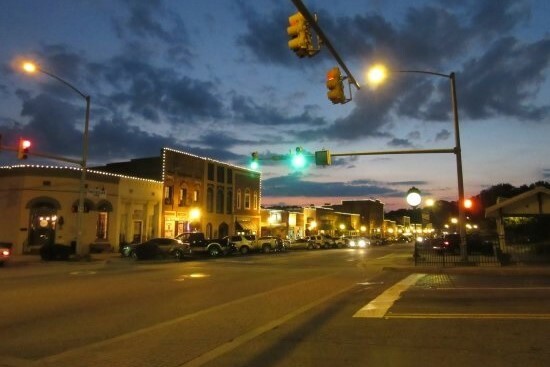 The city was named “Acworth” in 1843 by a railroad engineer by the name of Joseph L. Gregg, who named it after his home town of Acworth, New Hampshire, which was named after the Royal Navy Surveyor Sir Jacob Acworth. Acworth, GA was officially incorporated as a city in 1860, and grew into a small but respectable community. Many Acworth, GA homes and buildings were burned during Sherman’s march to the sea, but the city recovered quickly and grew steadily over the next 100 years fueled by the textile industry. Today, Acworth, GA is a beautiful city just outside the hustle and bustle of Atlanta, filled with friendly and hardworking people who deserve the best when it comes to their homes. The team here at Mancilla Roofing & Construction is and always will be here to serve their roofing and exterior construction needs. Call (678) 264-3189 or fill out the form below to get started.